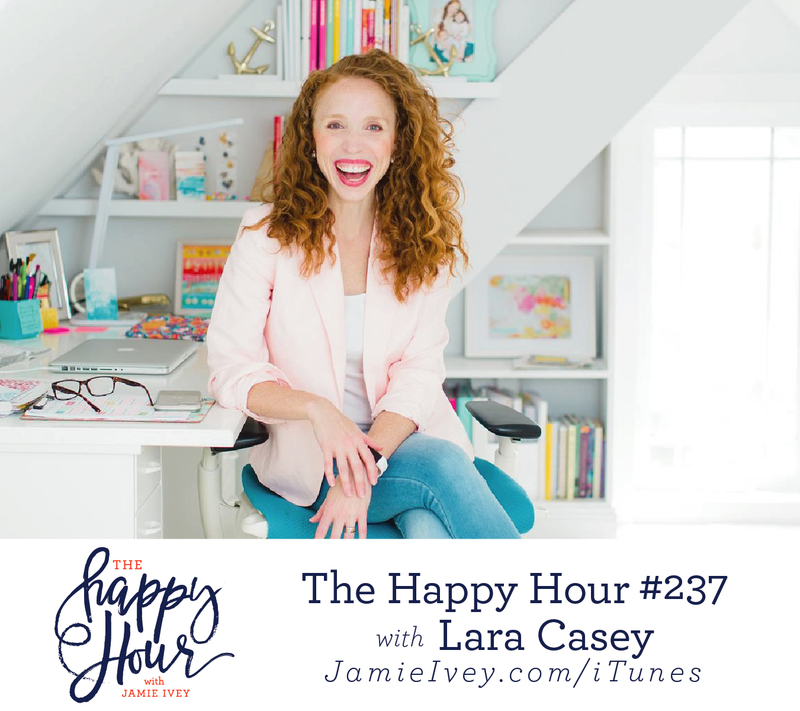 My guest for The Happy Hour # 237 is Lara Casey. Lara is a mom to 3, a grateful wife, and an unlikely gardener. She’s the creator of PowerSheets goal planner, founder of Southern Weddings magazine, and author of Make It Happen and Cultivate. If you are part of our Happy Hour Party on Patreon, you heard Lara’s amazing episode in our mini-series about dreams and goals. Today, I am so thankful to have Lara on the show as she shares her journey of faith and how God has changed her life in so many ways. Lara and I start off talking about taking the time to really slow down. She tells us about a recent neck injury has brought about suffering, but she’s seen the opportunity to truly live each moment well. Lara then shares the story of how she and her husband struggled and fought for their marriage through deployment, infidelity, differing faiths, and more. You will absolutely see God’s hand all over her story, and how He made what seemed impossible, possible. Lara also talks about people who bore witness to what God could do when she couldn’t believe it, and it renewed in me the commitment to seek out others and ask about their heart. What Lara is loving: her 3 year old son’s undies shenanigans cracking her up!